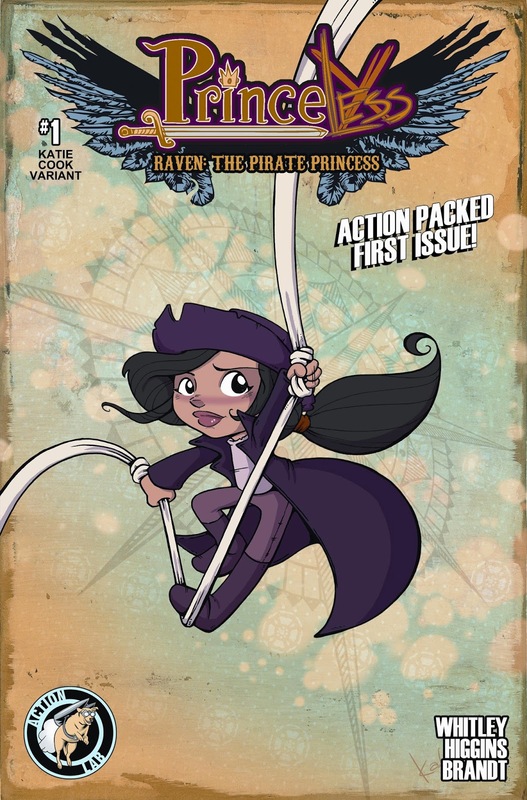 Action Labs announced that Jeremy Whitley's Princeless series is spawning a spin-off, Raven: The Pirate Princess. 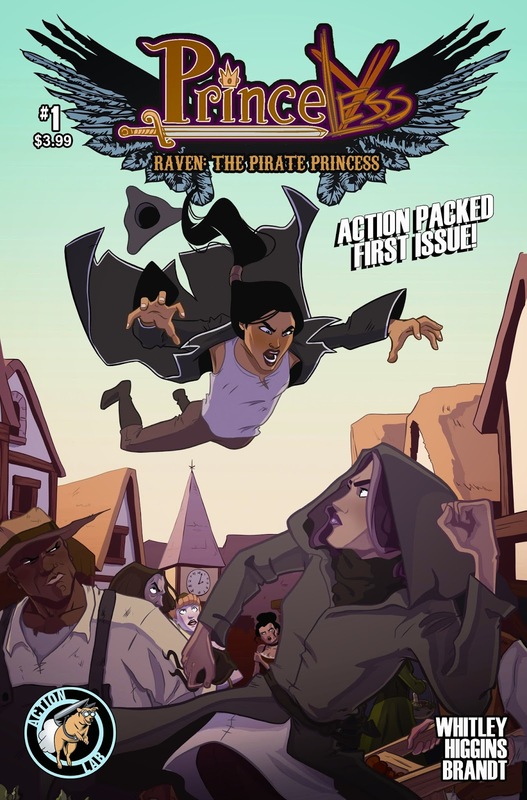 Along with artist Rosy Higgins, the new on-going series will follow Raven on her own adventure trying to get revenge on her brothers. 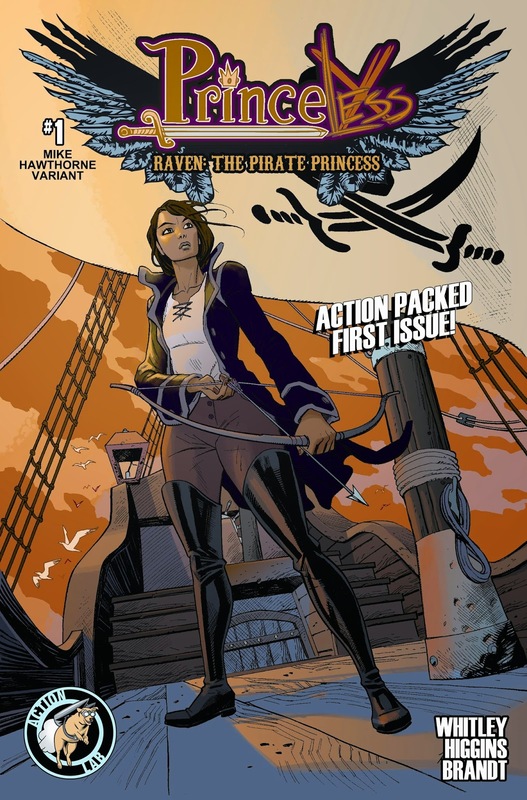 The same Eisner-nominated duo will launch the series in late July. 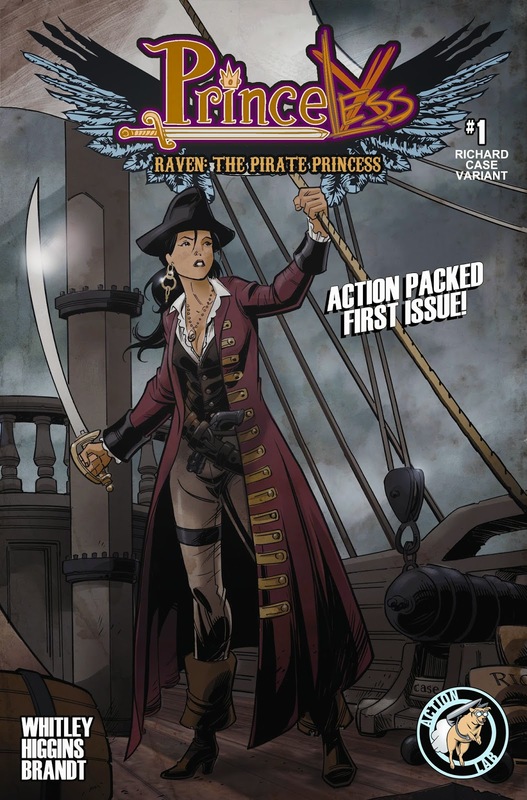 Download the 8-page preview now thanks to Talking Comics' exclusive and see the variant covers below.